When a customer pumps gas and fails to return the nozzle to the cradle before driving away, a serious safety issue may occur. A full or partial breakaway at the pump should be treated as an emergency; Breakaway Procedures training prepares your staff to take immediate action. This online learning module teaches employees how to swiftly react to a breakaway by stopping the pump, blocking access, and notifying the proper personnel. 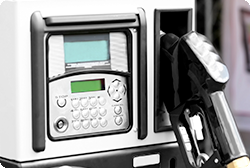 Employees learn to pay very close attention at the gas pumps and are prepared to handle emergency situations.